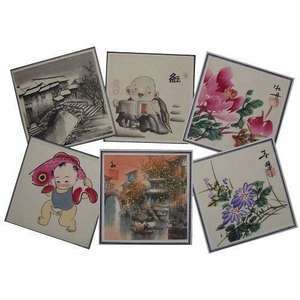 Assorted hand painted Chinese watercolours, decorated with a range of traditional oriental themes. Sold unframed, the paintings come from the street artists of Hangzhou, and are painted in a simple oriental style. Hand painted onto rice paper in a simple traditional oriental style, the paintings are mounted onto thin card ready for framing.